Home » I am not my hair…but my hair is me. I am not my hair…but my hair is me. 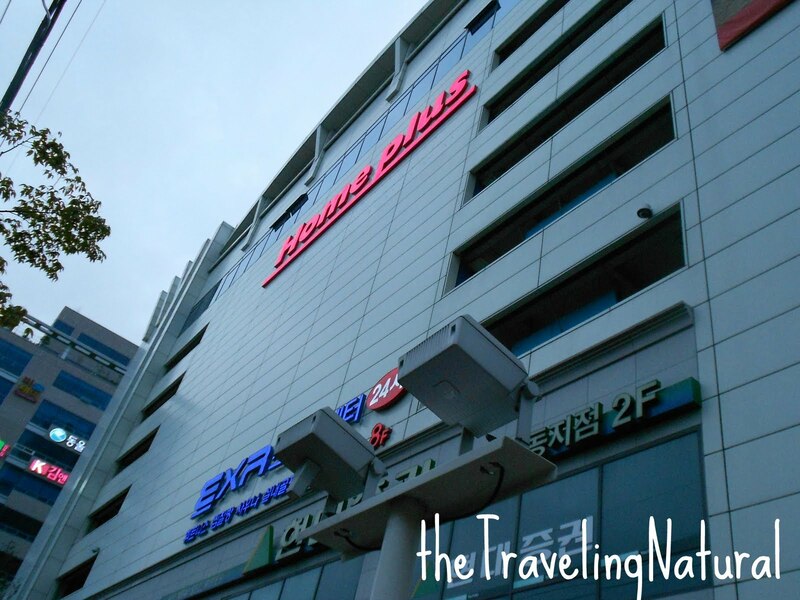 On Sunday night I ventured out to find Ilsan Beach since it’s pretty close to my apartment. To my surprise the area also had a Home Plus (insert your local big name discount retailer here!) and tons of coffee shops! Since the next day I was attending a Chuseok dinner I headed over to Home Plus to purchase some wine as a gift. Finally after 20 minutes I found help and got directions to the wine section. I picked up some Moscato, then headed to the check out line. 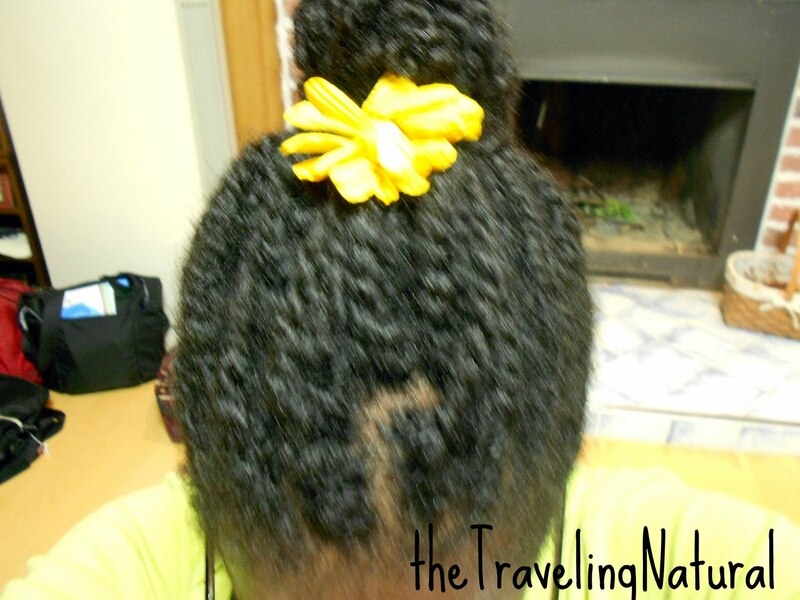 While standing in the line I felt something tug on my freshly washed and styled twists. I turned around to investigate and my eyes were met by a smiling Korean couple. I furrowed my eyebrows in shock and disbelief as the Korea woman removed her hands from my hair and proceeded to inspect my skin. I shook my head in the “no” fashion and pulled away. The cashier caught my attention as I was next to pay. I paid for my wine, quickly placed it in my gift bag said “Anneyohaysayo” (thank you) and walked away. I looked back and the couple was checking their items out as if nothing had just occured. It made me realize that with a enormous language barrier, it is hard to verbally expression my disdain for someone touching me without my consent. Sure if I were crazy/mean I could have smacked her hands away or use some other body language to get the point across (like touching her hair and skin) but isn’t that just fighting ignorance with ignorance? I noticed there were many other foreigners (Southeast Asian etc) in Home Plus. I figured they could be workers of the Hyundai factory since I live in that area. So I wondered what kind of treatment they experience? I’ve had hair touching incidents happen before and both times it was from Caucasian friends who ran their fingers through my fro, unannounced, to see how it felt. And while traveling in China in 2006 with my mom I experienced that “intrigue” before with my brown skin. Getting stopped on the Great Wall of China and being asked to be in people’s pictures because they’ve never seen a black person before in the flesh…yea it will prepare you for a lot I guess. But it’s still shocking when it does happen. I made a goal this year to wear my hair in protective styles (styles that do not expose the ends of your hair) until 2013. Yea I also said I will meet Oprah in 2011 and the clock is tick tick ticking LOL. 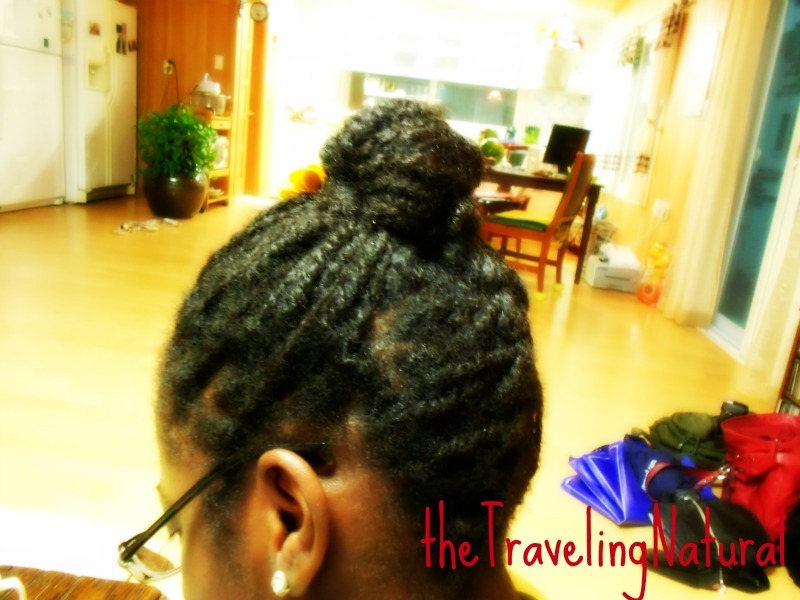 But being in Korea I think protective styling would also help proctect me from “hair gropers”. I mean how is my hair going to grow if people start touching it all the time? 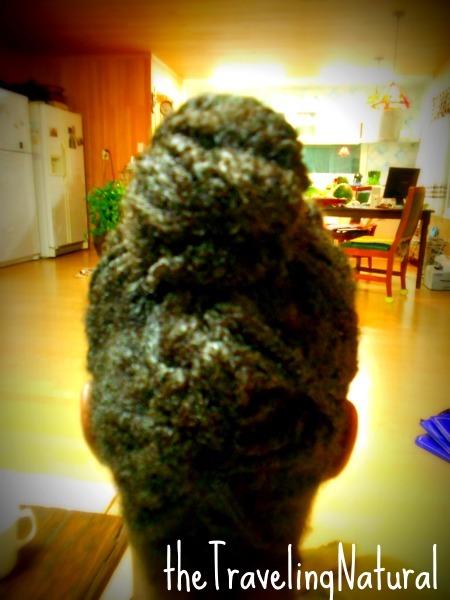 Single twist with a french braid going up the back and the front gathered into a bun! Added a flower for an extra touch! Update: I did discuss this with some Korean friends and they told me that this behavior is not “normal” and that the couple was “crazy” for doing such things. We actually had a really good conversation on the changing attitudes of Koreans towards foreigners. Anyeong haseyo is hello. Kahmsahamnida is thank you. Also, nice blog!! !